The Florida League of Cities provides financial and insurance services to more than 600 public entities in Florida. With more than 70 workflows handling upward of 500 different form types daily, departments within the Florida League of Cities has become quite proficient at working together to design and streamline business processes within the organization. Here is how Information Technology (IT) and Accounting collaborated to optimize the accounts payable process. 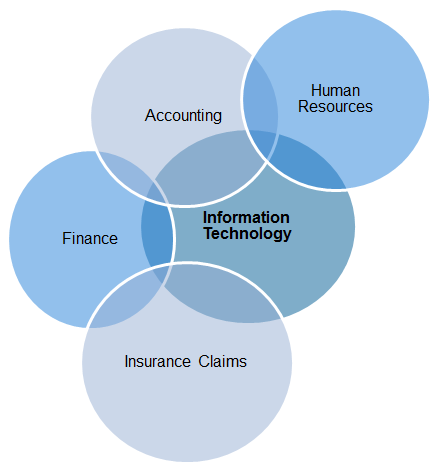 Before Laserfiche there was a clear line between the IT department and the business units. Every department worked in a silo. People would come to IT with a need and we’d push a technology system that was consistent with our standards, but because we didn’t fully understand their business, our recommendations were not always what the person needed. End users did not know the right technology questions to ask us, and since IT didn’t know how the users did business, we did not ask the right questions during demos and the requirements gathering phase. As a result, non-technical users built processes without understanding the technology resources available to them. 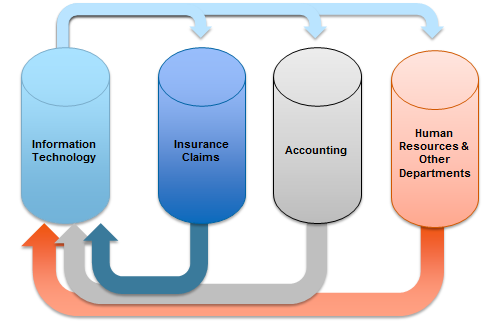 These processes evolved over many years into inefficient methods of doing business and, as our enterprise applications and custom integrations became more and more interwoven, it was becoming obvious that IT needed to better understand these business processes and how to leverage existing technology and new applications to gain efficiencies. Implementing Laserfiche Workflow gave us a good opportunity to review our current business practices as well as sit down with the departments to help them apply the correct technology to either tweak existing processes or start from scratch altogether. This analysis showed us where redundancies, bottlenecks and inefficiencies occurred throughout the organization, providing us with multiple ideas for various workflows and the opportunity to rethink how we did business. Once IT learned the business, we were able to see the complex overlapping data relationships between the various departments. Today, IT truly rests at the heart of the business. One of the processes that we decided to streamline and automate was the accounts payable process. 1. First, the accounting department sent IT a paper narrative of how the accounts payable process was working at that time. Basically, they described what employees did on a daily basis. Assigning a more accurate document template. We added various fields for Laserfiche Workflow to use while routing the invoices. Introducing better folder and template security to ensure integrity of the data. Leveraging all of Laserfiche Workflow’s functionality in order to automate the various administrative steps. Removing some unnecessary steps from the process such as eliminating physical signature requirements. We wanted to eliminate duplication of work. Before Laserfiche it took five steps to add an account number into our various systems at various times within the process. Now we only have to insert this number once and the change will be reflected everywhere. In order to design the template, we brainstormed everything a user could possibly search on and included that as a field. We obtained input from an external auditor on what they want to see when they perform and audit and used this feedback to design how Laserfiche Workflow will populate our “History” multi-value field. Since Laserfiche Search is so powerful, we were able to stop sorting files alphabetically and can now do so by date instead. Not only does this process have many automated steps, but it is shorter than the original one. 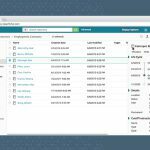 You can walk through this new accounts payable process step-by-step in the companion Solution Exchange article.